True relaxation in section F of Ocean Sands. 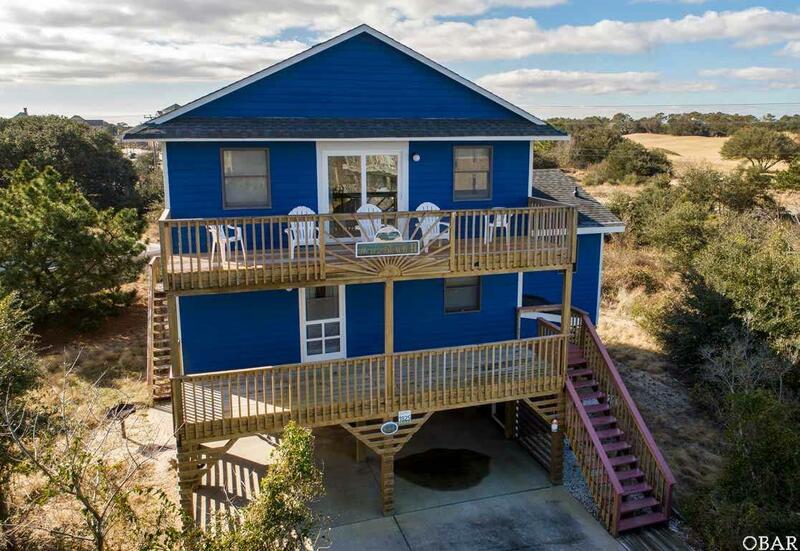 Approximately 235 yards to the ocean and updated kitchen with solid-stone counter tops and upgraded flooring and fun coastal decor throughout, will delight you and guests during their Outer Banks vacation. Take a step out on the open deck and enjoy the expansive view before retiring back to your well appointed bedrooms and living areas. Kick back and relax in your spacious bedrooms after enjoying the close by attractions of Whalehead Club, Currituck Lighthouse, Restaurants, Shops and more. Haven Beach Too's quintessential beach box design, screened in porches, and relaxing views will be sure to take the stress away! View this awesome investment opportunity today!